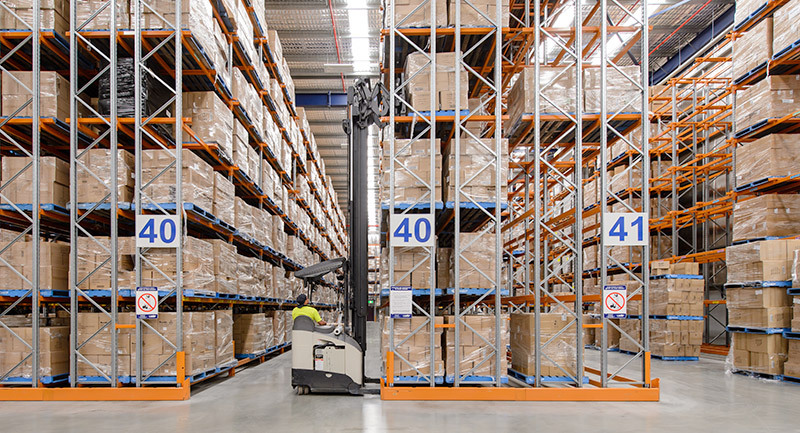 ColbyRACK double deep pallet racking is the perfect system for businesses that require a balance of storage volume, selectivity, easy access & adjustability. Colby Double Deep Pallet Racking stays true to our high standards for safety, integrity, and compliance. Designed by our leading Australian structural engineers to meet arduous international structural standards and exceeding Australian standards. Colby’s smart section design features such as reinforced flanges and strengthening ribs ensure optimal safety, whilst our range of uprights, beams, frames, and connectors are made using only the highest quality, guaranteed high-tensile steel. By investing continuously in product development, Colby ensures reliable racking components, with better products promising years of outstanding performance.